Brolin McConnell gets escorted into court in Aspen on Thursday. The most bizarre moment in the first court appearance Thursday by the man charged with holding three other men at gunpoint Wednesday occurred when one of the hostages addressed the court. 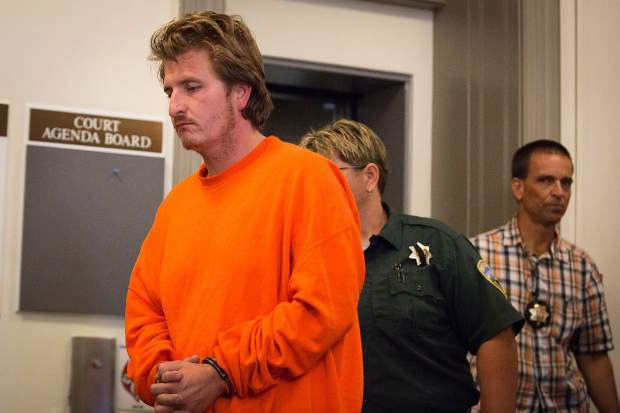 “After I saw the gun at my face, I thought of myself as a dead man,” Mark Meredith, 23, told Aspen District Judge Chris Seldin. 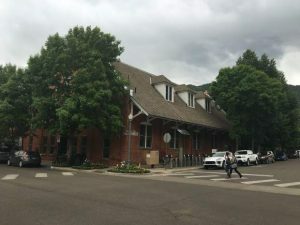 “I told you I was going to kill you,” said Brolin McConnell, 30, the Colorado Springs resident who was sitting in jailhouse orange and shackles, next to where Meredith stood, and who has been charged with the crime. “He told me he was going to kill me and put a bullet through my temple,” said Meredith, a Vermont native and current Aspen resident. “The ‘if’ was if the cops showed up,” Meredith said. “Well, they did show up and I didn’t kill you,” McConnell said. “Because I ran,” Meredith said. The nearly hour and a half-long hearing contained many such moments. At one point, when Seldin attempted to explain the legal definition of first-degree kidnapping — which will require a mandatory minimum of 16 years in prison if he’s convicted of the charge — McConnell protested. McConnell repeatedly told the judge, “I fear for my life.” He asked for and received a book of Colorado statutes so he could read along with the judge. He refused to sign mandatory protection orders forbidding his interacting with the 12 victims in the case. He asked why he wasn’t charged with possessing marijuana and guns together, because that’s “not legal,” he said. In addition to the kidnapping charge, McConnell also is facing felony menacing and misdemeanor false imprisonment and prohibited use of a firearm. Seldin ordered him held in lieu of a $500,000 cash-only bond. After the hearing, McConnell told a reporter he’s a real estate agent in both Colorado and Florida, though he said he lives in Colorado. He also admitted he didn’t know any of the men he held at gunpoint. An employee at a Florida real estate firm listed on McConnell’s Linkedin profile said Thursday he didn’t work there anymore. 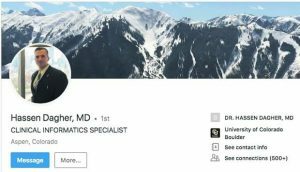 A woman who said she was McConnell’s mother answered the phone Thursday at a Colorado Springs real estate agency listed in the Linkedin profile. She was crying and said she knew what had occurred in Aspen on Wednesday. “I don’t have any comment,” she said. “Things are very overwhelming right now.” She then hung up. 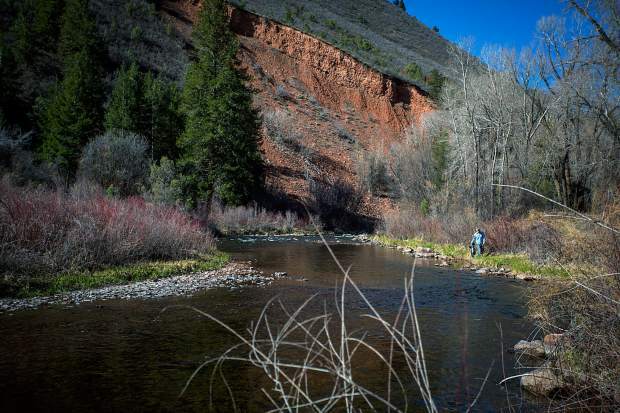 In an interview after court Thursday, Meredith said he and a friend from Aspen had gone up to the Lincoln Creek area to go bouldering, drink beer and camp. They first passed McConnell about 200 feet after the initial bridge. His gray Toyota Tacoma was parked at an angle in the road, though they were able to make it past, he said. 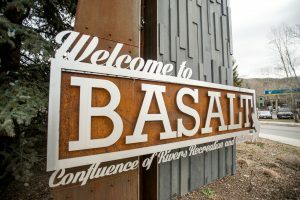 They went another 400 feet or so, and ran into two large, “military-type” guys in a white truck who told them soft-sided tent camping wasn’t allowed in the area because of recent bear incidents, according to Meredith and police reports. So they turned around, but had to get around McConnell’s truck again. “He gets out and I thought he was going to help us,” Meredith said. “He walks around the front of the car, … then he looked back, pulled the gun out and pointed it at us. He asked for Meredith’s friend’s iPhone and appeared to listen to it, he said. He made statements about the FBI and that drones were “all over the place,” Meredith said. At one point crows flew by and McConnell shot at them. “He thought they were drones,” he said. McConnell had a 9mm handgun and a .38-caliber and was pointing them at Meredith and his friend’s heads, he said. He opened the tailgate of his truck. He made the two men put their hands on his truck and asked if their hands were burning. They were, so Meredith asked if they could put their hands on their heads instead. That was when a third car pulled up and a man with a cast on his foot got out, Meredith said. This was 21-year-old Blake Ramelb, who wrote a lengthy blog post Thursday describing his ordeal. McConnell asked Ramelb about his race, according to Meredith and Ramelb. He told him he was 50 percent white and 50 percent Filipino, according to his statement. This seemed to make McConnell pick on Ramelb, Meredith said. McConnell also had all three men take their shirts off to prove they didn’t have microphones or guns in their waistbands, Meredith said. At that point, another car pulled up “and saved our lives,” Meredith said. That car distracted McConnell enough to allow Meredith’s friend to first run off, then Meredith was able to run away, he said. That left only Ramelb, who couldn’t run because of the cast on his foot, he said in his blog. So he tried to talk to him about his family and the movie character Jason Bourne, he wrote. Then Pitkin County sheriff’s deputies arrived. He told them he wanted $100 million, according to Ramelb and police reports. The deputies were trying to communicate with him, and McConnell had Ramelb yell back to them. “The gunman threatened to shoot my kneecaps off, then wanted to shoot my surgical foot,” Ramelb wrote. “He had me turn away from him. I thought he was going to shoot me. Pitkin County Deputy Ryan Turner said he didn’t see the first shot, but vividly remembers seeing the second shot. “I did definitely see him rip a shot off right at the hostage’s feet,” Turner said. “He said, ‘He’s next,’ and motioned with the gun at the kid. Eventually, Ramelb said he saw McConnell, who was sitting in his truck while Ramelb stood outside, move further into the truck with the gun still pointed at him. Ramelb was able to escape. McConnell peacefully gave up almost as soon as Ramelb ran away, Turner said.